the Forex trading systems that are out there. There are plenty of options to select from and even more opinions on if you should use them, how you should use them and which ones to use. Before you can make a decision about this, you should consider what the trading system can actually offer to you and why it may or may not be the best option for your particular needs. Some systems are no doubt better than others. There are many systems out there and some of them are definitely going to be a better option than others are. The key here is not to buy a system or use a free one, based solely on that factor but to know what to look for. Before you give the thumbs up to a system please check if it gives you the following 3 things. 1. The first thing you need to consider is that the trading system needs to work with your own style of play. In other words, no matter if you are a long term swing trader or if you are a short term day trader, the system needs to work for your particular goals and your particular needs as such. But the question is do you really know what is your "style of play"? 2. Next, consider how the Forex trading system addresses clear entry and exit signals. No matter which system you invest in, it is critical that you know that the system has these types of signals and that they work perfectly. 3. 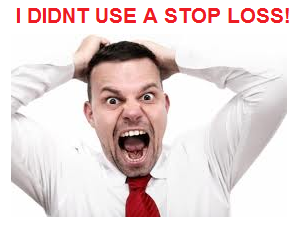 There should be some set of defined rules on stop loss size and placement. Money Management is KEY. Many trading systems you will find out there do promise to provide you with high returns. They may or may not be able to deliver on this promise. If they are going to deliver they need to have good money management rules in place. You want there to be a stop loss placement so that you can avoid seeing your trading capital erased too fast based on just a few trades. No matter what you chose, you have to have a Trading System because without it you'll be lost. Trading requires you to treat it like a proper business because it is a proper business and business planning is key to any successful business. You select the right one to use in your trading. A trader without a plan is heading towards disaster. Trading is a pattern recognition numbers game. You need an edge and that edge is provided by AIMS Stress Free Trading. AIMS gives you a crystal-clear entry mechanism with a simple and easily understandable entry setup. AIMS Stress Free Trading takes the anxiety out of trading by applying three simple rules to create two clear entry setups. We know our entry level within a second. AIMS Stress Free Trading exit setup offers two options of exiting with profit. 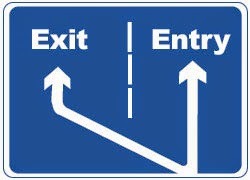 One exit technique is for normal moving markets; the other is for fast moving markets. The success of the AIMS strategy is based on its sound money management techniques. Our money management and risk control helps us increase our return on investment. AIMS money management and risk control take into account the market conditions. The AIMS strategy allows you to increase profitability when you have winning trades and give little away when you have a negative trade. AIMS techniques allow you to control your risk to a bare minimum and provide a potentially higher risk-reward ratio. “Knowing without Knowing how You Know”. It is that mental state that we call “The Zone”. The correct mind-set and attitude is the key to trading success. We have two simple techniques to help you remain calm and stress free during trading. Labels: Benefits of AIMSForum, Buy Now, The Setup, Why Become an AIMS Member?